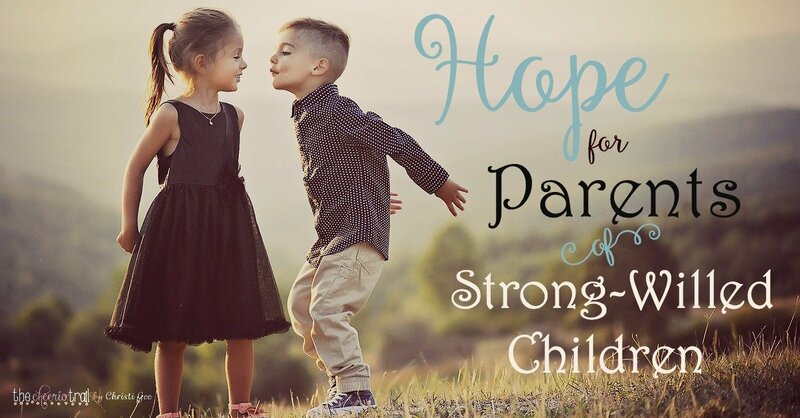 I am both the surviving parent of a strong-willed child and the surviving strong-willed child of strong-willed parents! Then this short message is for you! I grew up hearing the story that encapsulated my own strong-willed nature. I was almost three and decided I didn’t want to remain in my big girl bed. After trying numerous softer tactics, it was time to draw a line in the sand. My parents explained that if I got out of bed again, I would be spanked. And thus began round one of a double-digit prize fight. My dad would tuck me in bed, remind me of the directive and the consequences, and walk out of the room. He’d stay beside the door and hope I chose to obey. Over and over again, I got up and began playing with toys. Over and over again, he entered the room, fulfilled his promise, and offered a new chance to obey. Are you smiling at the way I framed that? He fulfilled his promise. Yes, the promise was that if I got out of bed, I would be spanked. While he kept his promise, my mom stood in the shadows and cried. Eventually, I wore out and dad won. And 20+ years later ~ I was the one crying and the one worn out. I know a thing or two about strong-willed children. I was one. I raised one. And I have a little hope for you, sister! I promise you’ll be encouraged on this journey! And that’s important … because this is Kingdom Work! Prefer to read? No problem! Download this mini-eBook. It’s free. No email address required. I can imagine all this happening. I can see Ray and Sharon doing all this. Hope you have a blessed day. 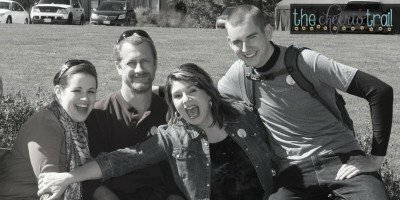 Christie, it was such an honor to partner with you in the Raising Boys series! I needed your post for myself! Thank you for that. It continues to bless many mothers! Loved this and shared your 31 days post on this topic on facebook (I’m doing a series as well, but found this by linking up with Count My Blessings). I have a 3 year old who is very strong-willed, so it was so encouraging to read your words today–thank you! Thank you! I’m so glad I could send a little encouragement to your mama heart. That’s important stuff you’re doing, sweet sister. But that doesn’t mean you always feel like it. 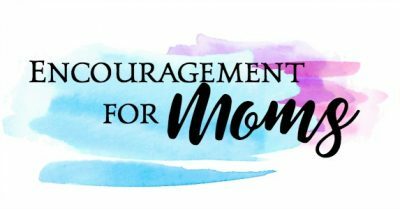 We moms need to stick together and when you get further down the line, look back and sprinkle some encouragement for those coming behind you :) … I know you will ~ sounds like you’ve already started! 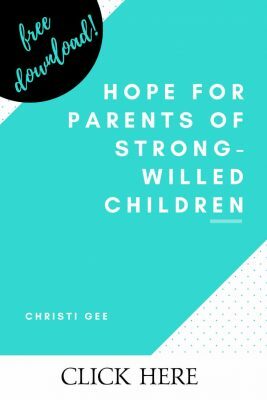 As the mother of one strong willed child and the grandmother of another, I can attest to the fact that faithfulness and consistency are so important! I can’t wait to finish the story. Visiting from Tai’s linkup. Thank you, Donna! I imagine you are one of those looking back and cheering on the younger moms. That’s a major ministry! Thanks for being here! As always, a delightful reminder of the good ole’ days…haha! Enjoying the journey with you!